Aalto Services constantly thrives to improve themselves to serve the student community better. Students are the primary people to avail their services. So, WHAT IF we could know the expectations from these services the best by the students? 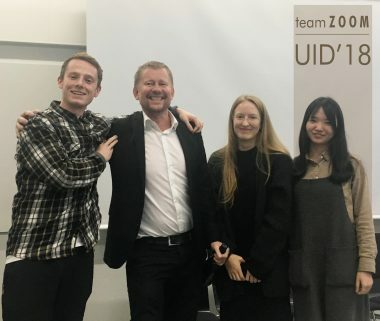 User Inspired Design – Making course in September 2018 gave an opportunity to students for coming up with the ideas to help Aalto Services to be more efficient in reaching the students and help them to develop creative ways that could help students to get the most benefit out of the services. In order to ensure a better attendee experience throughout academic conferences, we decided to create a toolkit, which allows the attendee to take a break from the formal environment. This toolkit consists of multiple elements which enhance the different senses of sight, hearing and touch. They are placed in a separate space yet they are not isolated from the actual conference location. Our proposal is a centralized and shared platform within all Aalto members interested and committed to organizing academic conferences. This platform is an online and offline conference tool where organizers, professors and PhD students can work together in order to build in an efficient and productive way the conference they are dreaming of. This is due to two main features: the platform gathers all the important information together, including advice from previous experiences, allowing the users to be connected to what it’s most relevant for them. In addition, the tool can bring together the organizers in physical meetings in order to discuss and build their conference.